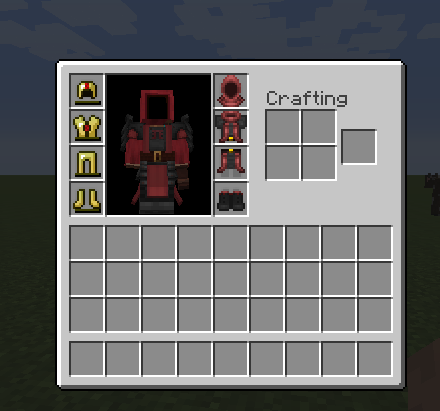 Cosmetic Armor Mod is able to make four additional armor slots exist to the Player’s inventory. The most amazing features of these four slots is that any armor placed in them will only appear visually on the Player, and not affect the Player in any way. It allows for the usage of one armor piece (say, Boots of the Traveler) while still retaining the aesthetics brought by another. Pressing the Cosmetic Inventory hotkey (C by default) opens up this GUI. The slots along the left are the armor slots you’re used to, where the slots on the right contain the armor to be displayed on your Player. 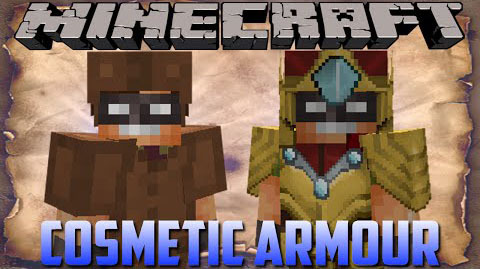 Any armor that doesn’t have a corresponding piece of cosmetic armor will render as normal.